When a French court annulled a marriage last April because of a virginity lie, nobody really felt concerned with the case. From April to September the media didn't mention the verdict. Both parties agreed on the divorce and the case was closed. When the lobby of French islamophobia jumped into the debate, the focus became on the religion of the couple: Islam! From a judicial debate, we reached the classic socio-political conflict between Islam and French democratic values. Thus the debate was turned from too legal into too Islamic and therefore became interesting. This time, the French Muslims unanimously refused such polemic. In fact, the virginity thing is far, very far, away from the daily life of Muslims in France. Basically, the average of French women's age on their first sexual relationship is dropping since the fifties. According to the National Institute Demographic Studies (INED), this age remains around 17 years-old since the year 2000, where as in the fifties it was 20 years old. Meanwhile, the age of the couples, with or without marriage, has passed from 27 to 29 years old for the women and from 29 to 31 years old for the men. 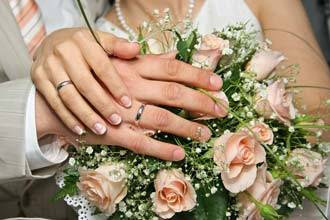 For many different reasons, the number of marriages diminishes from year to year. As an example, a study conducted by INED shows that between 1996 and 2006, the number of marriages decreased by 4.6 percent. This decrease started in the Seventies and still continues up until today. As a solution to this crisis of traditional marriages, the government proposed the Civil Pact of Solidarity (PACS). It appears like the traditional marriage contract but it is easier to dissolve. In 1999, the PACS law was adopted by the parliament, in spite of opposition from Christian movements. It was highly supported by the gay organizations which made it look like a first step towards a law on "homosexuals' marriage." During its first years, 40 percent of the PACS's contracts were signed by people of the same gender. But this situation has gradually changed. Today, only seven percent of the PACS are still signed between gays and lesbians. So the large majority of the PACS couples are young people who prefer this free civil union to the traditional marriage. How do French Muslims behave under this national evolution of marriage in their country? Specially, how do the young generations of Muslim work it out? There is no official study on this aspect of the question; because religious statistics are not legal in France. However, within the Muslim community, some indices show that marriage is not yet an up-to-date fashionable tradition. On one hand, more and more French born Muslims are reaching the age of marriage, thirty years and more. On the other hand, the first "exposition of oriental weeding" was held in Paris in 2007 with a great success. This year, the second edition took place in Paris as well as in the city of Nimes with a visible Islamic back ground. Under the denomination of "oriental weeding" one can understand the real meaning of the Islamic marriage. That's why the program of the exposition included a public conference on "Marriage in Islam". The subject is highly appreciated by the new generations of French Muslims. Omar K, a 40 year-old government agent is very interested in chatting to young couples who visit his mosque in La Courneuve, a commune in the northeastern suburbs of Paris. He points out many problems when it comes to marriage in France. But two of them, he says, are very urgent, “How do young Muslims live before getting married? And how do new married young Muslims solve their problems in their daily life? Even if the problem is related to their vision of the so called "Islamic couple," mosques offer no opportunity to talk about this issue." Two marriages and two divorces have deeply hurt Omar. "It took me not less than ten years to recover from my disillusions with Islamic couples," he explains. "Before I came back to Islam I was like many misguided boys; I had friends and we used to go to places that fit with that kind of life. But when I started praying and began attending the mosque, my life drastically changed. This made me idealize Islam and idealize Muslims in general and the Muslim girls in particular." Omar met his first wife in a mosque. "It was really cutting for me to see my ex-wife, who is a French born Arab like me, a young pretty girl wearing the Islamic headscarf. I was new to the religion, I had no experience of Islam in my family. So, in my opinion, wearing the hijab was the highest degree of faith I could imagine." The divorce occurred two years later. Depression followed after the loss of dreams. After one year of therapy, Omar discovered that "In hijab, there is always a woman. It's stupid to say that. But to be honest, I had married the hijab, and I was mentally not prepared to accept the woman I discovered inside. You can call it ignorance or innocence but I found nobody to advise me at the time. I am not an Imam, but with Allah's will and my experience I may be able to help some people save their relationships." Rania, a 28 year-old, has a different case. She got married two years ago and is expecting her first baby soon. Rania's father is a respected Imam in France. "During my adolescence, I travelled with my father all around France. Believe it or not, I knew all the big cities by their conference halls and their mosques too." She is the type of girl who admires her father. "My father has always been able to listen to me. As far as I can remember, I never had troubles with him until the marriage affair." Rania was 21 years-old when she met "him" during a conference. "He was about thirty. He was handsome, kind, clever and honest. He was a full-time Muslim who is always trying to do his best according to the situation. I saw him as a faithful Muslim. For me he was the perfect man." Disillusionment came from her father. "He simply said no. He looked disorientated. He gave no reason to explain his decision. My father is known as a moderate imam. I personally think he is open-minded. He has a scientific education, he loves logic. But he gave no reason for the refusal of my marriage. I did not understand his decision." It took about six months for Rania to understood that "the perfect man" was a son of Harki, Harkis are Algerian Arabs who joined the French Colonial Army in Algeria, during the civil war. "Being Harki is not really the case of many people from my generation. But for my father and for all my uncles, it is a crucial point." After one year of waiting and expecting, Rania gave up. She finished her studies, got a job in a hospital and then got married to a young doctor. In a couple of months she will be a mother, God Willing. When she was asked about her marriage, she evaluated it as "a family spiritual test." When asked if she had any regrets about her choice, her answers sounded fatalistic: "Your marriage is your destiny. You cannot stop time and go back. But if I had not changed my mind and if I had stood up to my family, I am sure I would have lost my father. I think what happened was just a lesson from Allah saying that my father had personal limits. He also had his life story, I can accept and understand that but I cannot share with him all his thoughts and that's it." The rate of divorce is one of the major concerns for French Muslims. No official statistics exist on the subject. But the facts worry all the leaders of mosques who dare to open the subject. Their approaches are different but one point seems to make unanimity; the problem has no solution. The rate of divorce is a national matter in France like in many other European countries. While the number of marriages is decreasing, the number of divorces remains steady. About 120,000 divorces are pronounced every year in France. Statistics of the National Institute of Statistics and Economic Studies (INSEE) show that more than 30 percent of married couples get a divorce during the first four years of their marriage. Muslims aren't an exception to this statistic. Many imams are in panic. They wonder about their role as imams when it comes to the catastrophic number of French Muslims' divorce rate. The general principal of French law is to consider religion as a private matter. Religious baptism or religious wedding have no official value for official institutions. A French citizen can ask for a "republican baptism." He can celebrate a civil wedding as well. So cultural tradition or religious conviction are the only reasons why Muslims decide to celebrate their marriage in the mosque. But more and more French imams refuse to marry Muslims before they get a civil marriage contract signed by a mayor. "The imams have had enough of celebrating marriages without spiritual basis. The families trust us and we fear Almighty Allah," explains an African imam in Paris, who asks for anonymity. "It is a dramatic situation, but what do you propose? We can neither close the door of the mosque in the face of the families who wish to marry their children, nor can we guarantee the reasonless divorces we witness in our mosques. Sure it's a dilemma and we had to find a balanced solution. Believe me, the marriage in the town hall does not discourage those who really want to marry, it can only dissuade the jokers." In June 2008, for the first time, a French court, located in Orleans, condemned an imam who used to marry Muslims without a civil marriage contract. This judgment was perceived as a threat to freedom of religion. But the media did not cover the issue at the time, including the Muslim media. However, in September, the divorce over the non virginity of the wife attracted the headlines of many media outlets. But this debate interested very few people. Perhaps it was too judicial or simply it was just of no interest to them.